Voted as the world's #9 hostel as of September 2010, if there's one hostel you should be checking out when you're in Kyoto, it's K's House! Before i left for Japan, i knew already of good places to stay. I browse over hostel websites but i am partial to reading reviews made by those who have previously stayed, especially bloggers. And K's House seems to top everyone's list. What a really nice hostel! You should go out from Central Exit of JR Kyoto station, walk Karasuma-dori which has Kyoto Tower. 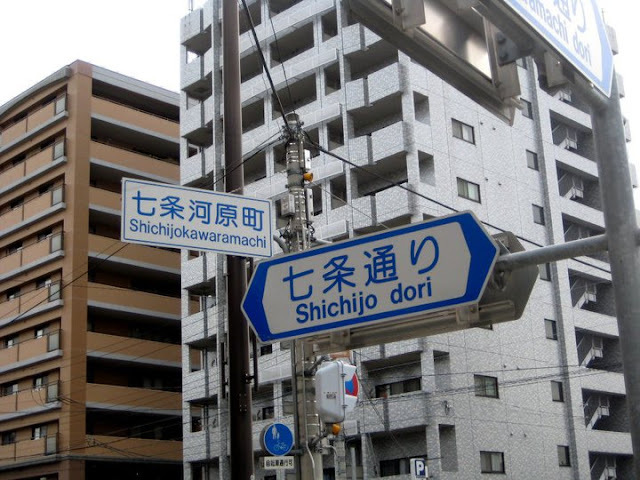 Turn right at the intersection of Shichijo-dori and Karasuma-dori, and walk about 5-6 minutes, pass Kawaramachi-dori and turn left at the next street of Kawaramachi-dori then walk about 50 meter, you see the white building, that is K's House Kyoto. It is about 10 mins walk from JR Kyoto Station to our hostel. If you have heavy bags, taking a taxi is another choice. The cost is 540-660yen. Please show a photocopy of this map to a driver. 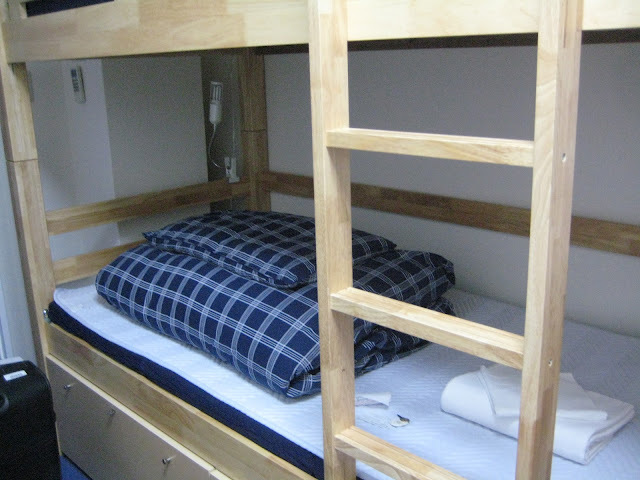 I stayed in a mixed dormitory room and slept in the lower bunk. A night costs 2300 Yen, roughly around $27. Of course, some hostels could offer a lower price but if it's service you're after, it doesn't get more valuable than K's House. 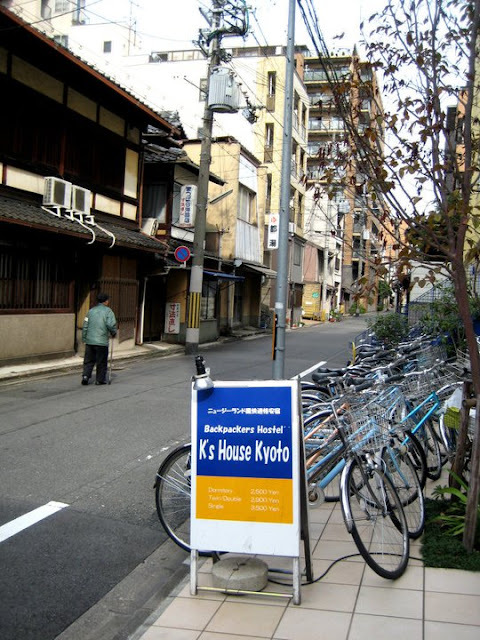 Actually this hostel is where i stayed the longest in Japan. The hostel is just comfortable and considering all elements such as accessibility, friendly staff, and a bunch of other stuff like internet service, etc, this place was a sure winner to me. I switched rooms after a few days as advised by the lovely staff so i can get it cheaper. Stayed for a night at four people mix dorm, then transferred to eight people mix dorm. The Dorm Rooms: They are not big, ventilation is pretty okay, air-conditioning is working but we didn't use it just because it was too cold anyway. Beddings were basic but comfortable. Wondered why i always oversleep?! The Common Bathroom: Clean and high-tech. Toilets are amazing and are a good start to introduce yourself to modern Japanese inventions. Bathrooms are clean with hot shower. The Staff: Friendly and very accommodating. They would often say hello and ask if i need anything. Whenever i have stupid questions like where am i?, they would still respond. The Security: The doors are open up until night time, and there are people manning the hostel 24/7 so you're assured that it doesn't get isolated while you're sleeping. Dorm rooms are locked, with centralized key system you can use. The Price: For Japan, it's a good value out of your money. Hands down! The Amenities: I brought with me instant noodles and cocoa. Every morning, i would cook my noodles and boil hot water. You can use all the supplies in the kitchen. There's internet on the second floor and one on the ground floor. On the second floor is a common area where i would usually sit down and chat with backpackers, exchange tips, that sort of thing. On the third floor is a TV with DVD room where you can just lounge and become a couch potato. There's a veranda where i would usually eat my breakfast amidst the chilly weather. Beside the lobby is a nice looking bar with competent prices. The Verdict: All in all, i give K's House a thumbs up. 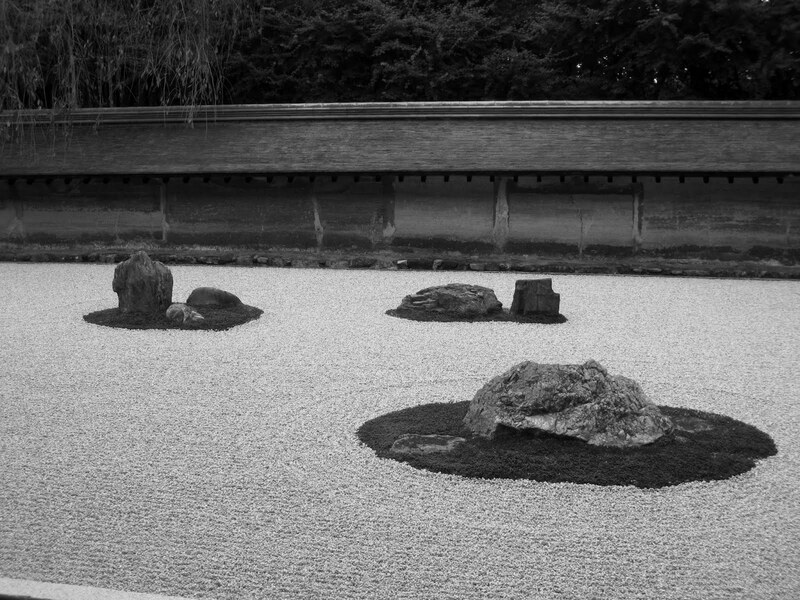 Highly recommended to all of you travelers heading to Kyoto. If ever i do come back, without a doubt, i'll stay here again! I miss the patio and my quiet mornings. @Ayan To be honest, alcohol and cigarettes are expensive in Japan. But if you find the right places, you can get it cheap. 7-11 and Lawson station. There's also myth going on, how there are beers that are advertised as not beer or what they call 3rd generation beer. basically, they say it's not liquor so there are no taxes. But lemme tell you i tasted it, and it is beer! yes ayan! planning to go to Japan??? You can do it! worth it pramis, the best talaga ang Japan!!! There are numerous room selections to choose from and it can be complicated to select the accurate one to suite your wishes.